The word Joshua uses for meditation in this passage literally means “to mutter” or “to muse.” It means giving attention to the Word of God, pondering it, chewing it over and thinking about how the Scripture can apply to our lives. It has been said that if you can worry about something then you can meditate. Worry happens because we continue to think about a situation over and over. Meditation works in the same way. We think about God over and over. Worry does not get us anywhere. Meditation, on the other hand, with a solidly biblical foundation is the best thinking in which we can engage. Meditation slows us down and forces us to linger over Scripture. In our fast paced society this is not easy to do but the rewards are great. Just as meat that has been marinated for a long time has the flavor of the marinade throughout it meditation in God’s Word allows us to be marinated in that Word. It draws us deeper into God’s Word, which in turn draws us deeper into our relationship with God. As we draw closer to the Lord our prayer lives will reflect that closeness. Finally, brothers and sisters, whatever is true, whatever is noble, whatever is right, whatever is pure, whatever is lovely, whatever is admirable—if anything is excellent or praiseworthy—think about such things. (Philippians 4:8). Personal repentance is an important element in prayer. But there is also the need for corporate or community repentance. We live in a community. That community can be a simple as our family, but also includes our church congregation and also our nation. When there is sin within our community the effect is similar to the effect of our individual sin. To use the beaver’s dam illustration from last week, our collective sins form a dam, which can restrict the flow of the Holy Spirit. Even though Daniel did not participate in the sins the nation of Israel had committed he, as part of the nation, recognized the sin and he went before the Lord, in repentance, as a representative of Israel. Sin and wrongdoing by the community (whether it be family, church or nation) builds up the dam, which can restrict the Spirit from flowing. But when we stand as a representative of our community in repentance the Lord removes the blockages and the Spirit can flow. Sometimes those sins can be 30,40 or even 50 or more years old and those who were directly involved may have passed away or moved to a new area, but the effect and consequence of sin remains. Maybe it’s time to ask the Lord to show you what is hindering the Spirit’s work and what needs to be brought forward in repentance both personally and for our community so that the dam can be removed and the life giving water of the Holy Spirit may flow. 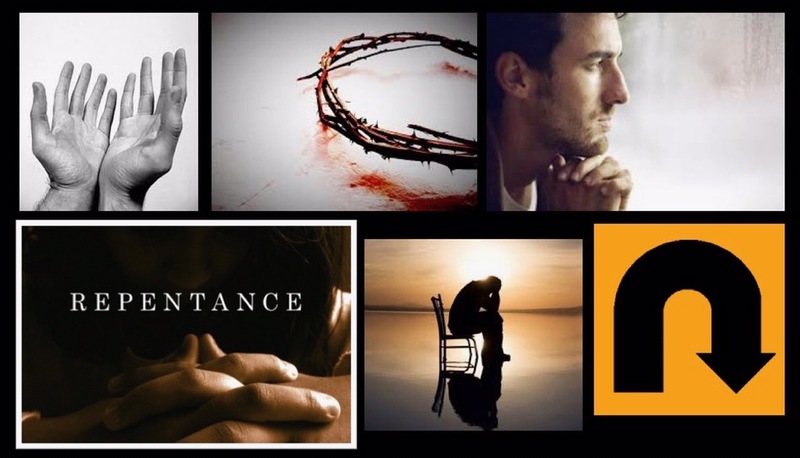 Why is repentance important? It’s important because sin hinders our relationship with God. When a beaver begins to build a dam it begins with one tree. It chews away at the tree until it falls down and begins to block the water from the stream or river. The water can still flow, but it is restricted. As more trees are chewed down, the dam begins to grow and more water is restricted until eventually the stream is completely blocked and no more water can flow. As we spend time in repentance, we can ask God to show us the sin we need to turn from. Often this sin is obvious to us. But sometimes that sin may lie in attitudes which we have carried for a long time, and which we have become comfortable with and even blind to. As the Holy Spirit is given permission by us to search our hearts, he can bring these things to light and we can bring them to God in confession. As we confess we receive his forgiveness. To use the beaver’s dam analogy, repentance removes the tree trunks so that the water can flow again. So make time for repentance. Take time to ask the Lord to show you where you have erected dams in your life (they could have been there a long time). Then ask for the grace and strength to confess those sins, so that the Lord can remove them, and the Spirit can flow freely once more. As a child, and as an adult, I have always loved building with Lego. There are so many different ways to put the pieces together and the creations you can make are only limited by your imagination. It is the same with prayer. There are different elements of prayer which, like Lego bricks, we can build together to make a prayer time. For example, there is the well-known acronym for praying called “A.C.T.S.” This acronym puts together elements of adoration, confession, thanksgiving and supplication, to form an easy to remember formula for praying. You can move through a time of adoration, giving praise to God for who He is and what He has done and then move into a time of confession before the Lord. Then after spending time in thanksgiving, being thankful for the many blessings life gives, the prayer time is concluded by moving into supplication, that is bringing to the Lord the people, events, situations in which we would like Him to work. There are of course more than just four elements to prayer. Prayer can include times of singing in worship, or listening in silence. Elements of prayer can include intercession for the needs of others or petition for our own needs. Meditation, reading and praying Scripture, journaling, are just a few examples, but the list can go on. These elements can be put together in different orders to make very different prayer times. You can have quiet times of prayer with meditation and journaling or expressive prayer times with singing and loud declarations of Scripture. The beauty of prayer is that these elements can be combined in so many ways. The possibilities are endless. So prayer should never become routine and stale. If prayer begins to feel like a simple routine, then perhaps it’s time to mix things up a little and add a new element to our prayer time. This keeps our prayers fresh and stop us from getting stuck in a rut. We shall look at some of these elements in the next few weeks. But as you think about your prayer times right now, what are the elements you include when you pray? Are there elements you spend more time on than others? Maybe it’s time to consider building a new prayer structure and try a different element of prayer. Praying the promises of God anchors our prayers within the will of God. These are things God has promised to do so they will be in line with his will. It means that we can approach God with confidence and not with some lingering doubt about whether or not he will listen to our prayer. Instead, knowing that God has promised this allows us to be confident that we are praying for we shall receive. We can pray with unwavering expectation, that God will answer. This is a promise which we can continue to expect with absolute unwavering expectation that the Lord, has done, is doing and will do for the nation of Israel. So dig in, discover the promises and pray them in faith for a powerful prayer which shall prevail. When we step into the place of prayer it is often to ask the Lord to change circumstances. We pray for healing for someone who is sick, comfort for someone who is grieving and for the Lord to change the heart of someone who is walking away from God’s kingdom. Prayer changes things and the Lord is able to move in people’s lives and circumstances because we pray. But prayer does not just change a situation it will also change who we are, so that we can be used by the Lord to be his change agents in this world. God’s word is a double edged sword and it works on us just as much as on the situation we are praying for. It can simply be the action of the Holy Spirit giving us a deeper love for the person who we are praying for. But it can be a more profound effect. In Acts 4, Peter and John had been in prison because they had been speaking about Jesus. Once they were released the believers gathered to pray. They were praying about the persecution and discrimination which they faced. You would think that the focus of the believers’ prayers would be to stop the persecution, to protect themselves from future imprisonment. But instead they pray that they would be changed. The believers pray for great boldness to be able to speak. They ask for signs and wonders to be performed so that they would be able to speak about Jesus. Their prayers were not “Change this bad situation Lord,” but “Change us so that we can be effective in this situation!” God heard and answered their prayer in such a tangible way that the building was shaken, the believers were filled with the Spirit and spoke boldly. What challenging circumstances do you face today? Where are the places you want the Lord to step into and change? How may the Lord be wanting to change you so that you can become the change agent for the situation? Prayer changes things and often the very first thing which needs to be changed is our own hearts.